An abstract painting by South Korea's pioneering artist Kim Hwan-gi has set a new record in South Korea's auction history at 6.55 billion won (5.7 million US dollars). 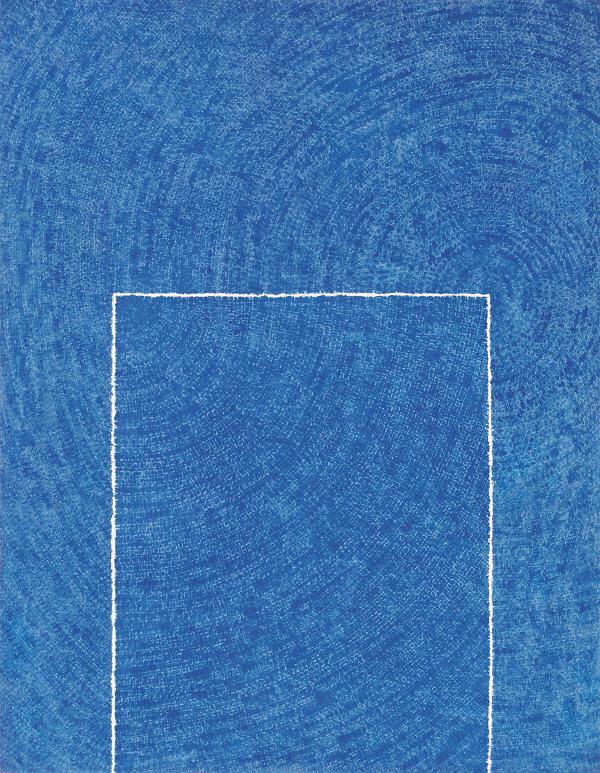 Kim's "Tranquility 5-IV-73 #310" with his signature style of blue dots and a white-edged square broke the previous record of 6.32 billion won set by his painting "12-V-70 #172" in Hong Kong last November. The 205-by-261-centimeter painting was completed in New York a year before Kim died. Kim (1913-1974) was one of Korea's first-generation abstract artists. His artworks largely dealt with diverse hues and patterns and his later works were filled with lines and spaces. He moved to New York in 1960 and stayed there until his death in 1974.